India has signed one of its biggest defense deals in decades, committing to buy 36 Rafale fighter jets from French aviation company Dassault. The agreement will set Delhi back $8.8 billion. The agreement was signed on Friday by India's defense minister, Manohar Parrikar, and his French counterpart Jean-Yves Le Drian. The deal follows four years of negotiations, delays and obstacles. “You can only ever be completely sure once [the deal] has been signed and that’s what happened today,” Le Drian after the ceremony, referring to the delays, AFP reported. Parrikar said the deal will “significantly improve India's strike and defense capabilities,” according to Reuters. Defense experts have also said the agreement will bring a much needed boost to India, as it seeks to modernize its Soviet-era-equipped military. — AFP news agency (@AFP) 23 сентября 2016 г. Under the deal, the first ready-to-fly Rafales are scheduled to arrive by 2019. India is set to have all 36 within six years. The fighter jets will be customized according to India's requests. France has to ensure that at least 75 percent of the aircraft, or 27 planes, are operationally available at any given time by providing proper maintenance, spare parts and ammunition. Half of the money India pays for the French hardware must be invested back into India's domestic aviation industry. Although the deal is scaled down from the 126 planes originally discussed, it still represents one of India's biggest defense deals in decades. The original number was reduced in talks over the cost and assembly of the planes in India. 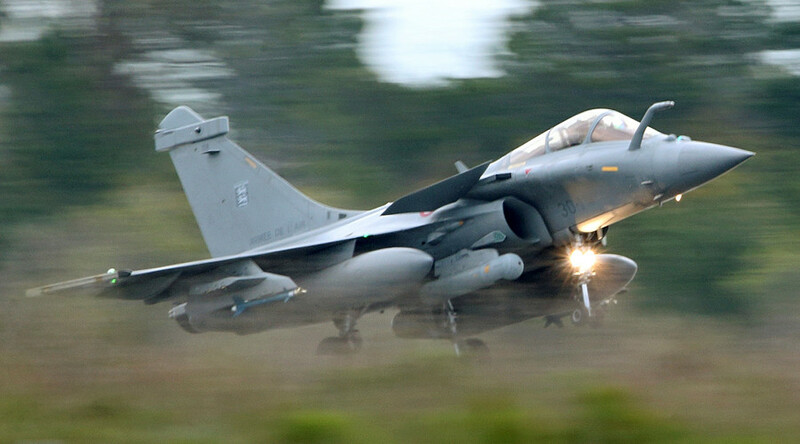 The deal also represents a large victory for Rafale, which has struggled to find buyers overseas, despite lobbying efforts by the French government. Dassault has signed several deals with India as part of a $150 billion military overhaul under the government of Hindu nationalist Prime Minister Narendra Modi. The Friday deal marks the biggest order for the Rafale since Egypt agreed to buy 24 of the jets in 2015, and Qatar purchased the same amount later that year. The Rafale is currently being used for bombing missions over Syria and Iraq, as part of an international campaign against Islamic State (IS, formerly ISIS/ISIL). It has previously been deployed for airstrikes in Libya and Afghanistan.